Tomatoes. I need them. I sincerely must have them for my cooking ((Lamb Kofta Curry). My curries mostly are perfected with the sour tinge from tomatoes (Thai Green Fish Curry & Bitter Gourd Prawn Curry) and pretty much for other dishes as well (Tomato Rice & Ayam Masak Merah). Tomatoes into soups. Of course. Why? You should (Chicken Vegetable Soup & Mor Rasam). Obviously so, I don't have say anything further about this Tomato Spinach Soup. Oh, yes-yes, I am all in for spinach too (Spinach Tofu Stir Fry). What's with this soup? A vegetarian version and my style as you know, for those of you who know me, I don't search, seek and search high and low for ingredients. I am pretty much the convenient cook. The cook who look within the hypermarket I am staying close by. Even for this Tomato Spinach Soup. The health is wealth soup. Simplicity in return speaking for itself (Turmeric Tomato Soup). When oil is heated, saute garlic and onion. Add tomato and stir for a minute or two. Pour in the stock and simmer to heat through. Add spinach, stir and off the heat. wow, for someone being tired after work. you still whip up something impressive. Kudos to u! Nava,I am surprised that you managed to write comments even being off for few days. A bowl of warm soup is always welcoming after a tiring day. Your soup is healthy and delicious. 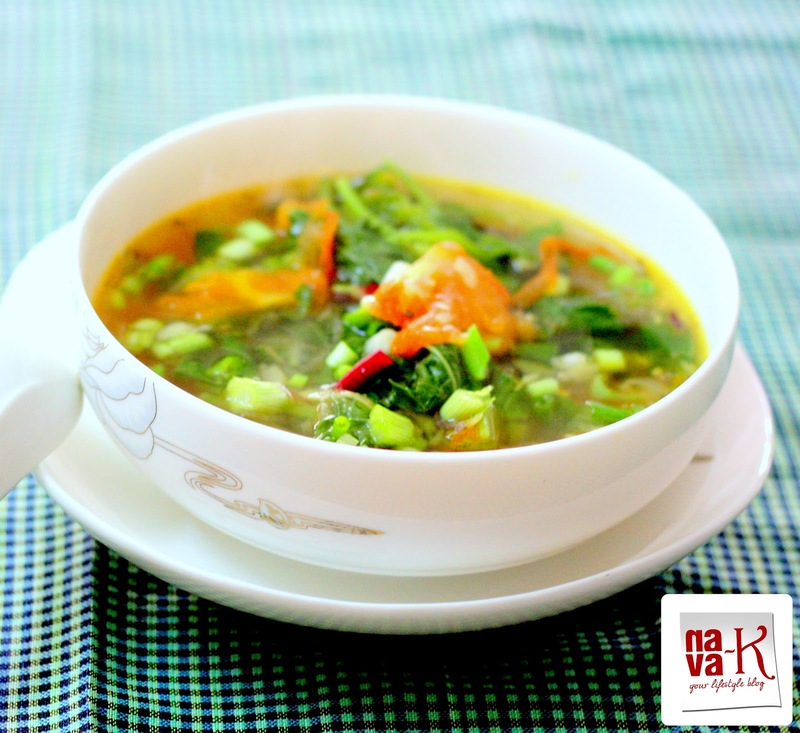 Delicious soup Nava love these kind of soup when I need some break from cooking. What a healthy bowl of soup you came up with, Nava. I chuckled when I read your wish about having more than 24 hours a day because I used to think that but I got tired. Now, I just go day by day and if I can't finish a task in one day. . . oh well, there will be tomorrow. Have a good weekend, Nava! Beautiful, colorful soup! The weather will actually be on the cool side tomorrow...I'm starting to think it's soup weather! This type of healthy soup I love it especially to warm up a butterfly tummy. Healthy bowl. Appetizing. Wish you a happy new year. 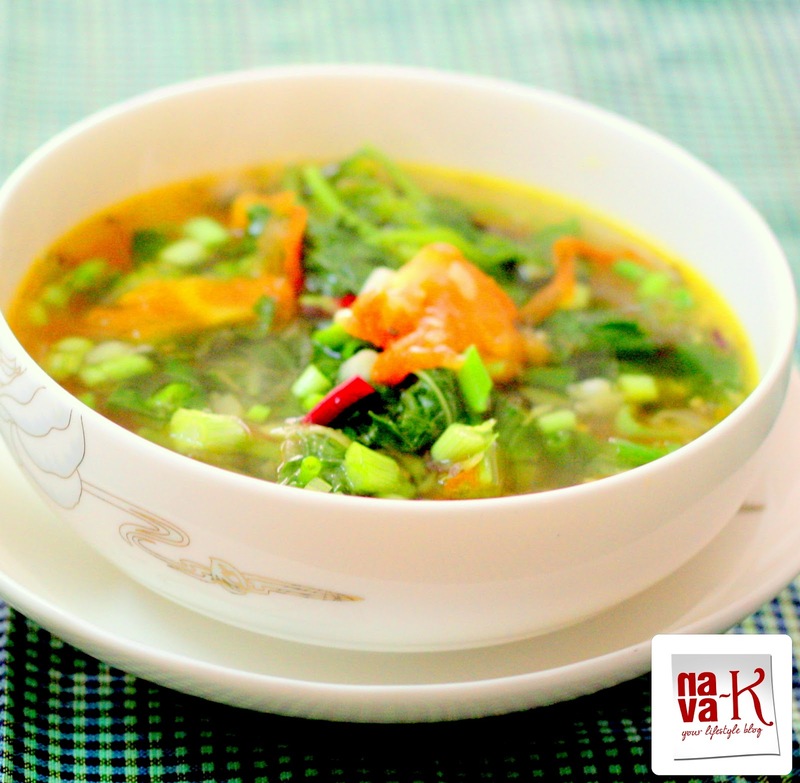 Perfect soup for the season !! !